Food & Water Watch is reporting on problems with AquaBounty’s experimental production facility of genetically engineered (GE) salmon in Panama. AquaBounty is the company that wants FDA approval of its salmon that grows faster than normal. The company is missing legally required permits and inspections, most critically a missing permit for wastewater. In addition, the company has reported “lost” GE salmon after severe weather in Panama. The area around the AquaBounty facility experiences routine flooding and bad weather. 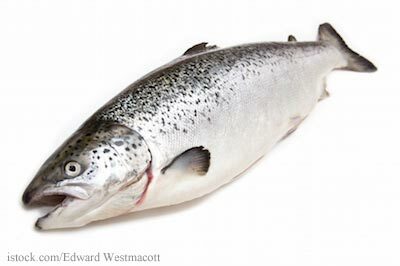 Consumer and food safety advocates are concerned that these fish can escape the farms and enter the wild, where they will breed with wild salmon and change their DNA. Food & Water Watch, along with the Center for Food Safety, Friends of the Earth, and GeneWatch UK have sent a letter to Panamanian authorities expressing concern over the problems at the AquaBounty facility. The FDA may approve commercial sales of AquaBounty’s GE salmon soon. The approval is based on an plan where the company produces GE salmon eggs in Prince Edward Island, Canada, then ship them to a facility in Panama to be grown.